I made a hashbrown casserole for Thanksgiving and decided to use the leftovers for breakfast. I used my awesome new cookware that I received from Good Cook. Having these products made this holiday season a lot easier. 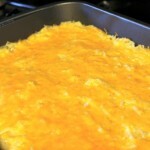 The hashbrown casserole that I made is a modified version of this one on allrecipes.com. I don’t use onions or the crunchy corn flake topping. I brought it over to my Grandparents’ house for their yearly Thanksgiving feast. Everyone always loves the hashbrown casserole! What a perfect time to give Good Cook products a try. With holiday cooking and baking, it’s a great way to give the products a fair test. They are all high quality and a pleasure to use. 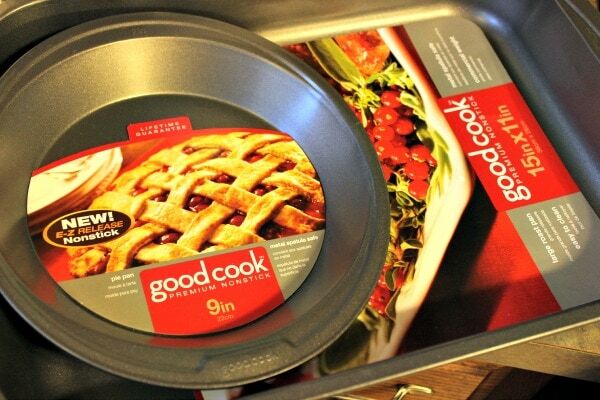 It’s also helpful to have new cookware around the holidays. Sometimes I pull out a baking sheet and it looks like it’s spent the summer on an expressway. I don’t know what my bakeware does off-season, but it’s not pretty. What should be a fun holiday baking session turns into a panicked trip to the store for new equipment. Now, I make sure to check everything before the season gets too intense to take some pressure off. This is my picky-eater way to make this recipe. Feel free to add onions or whatever else to spice it up a bit! I know some people like to add onions into the mix or top the recipe with chives. Mix hashbrowns, soup, sour cream, butter and cheese together. Place in your Good Cook 11 x 15 pan. There was a bit leftover for us to bring home, so the next day I decided to put them to use for breakfast. I used the Gook Cook muffin tins to make mini-quiches. 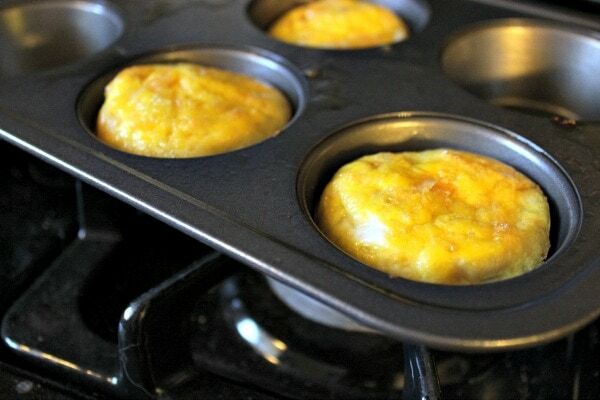 I sprayed the muffin tins with Pam before adding some scrambled eggs with chunks of the leftover hashbrown casserole. We didn’t have any meat to toss in, but bacon or sausage would probably please some people. It’s definitely nothing super creative, but it was tasty! Make sure to visit all of these delicious creations that the Good Cook Experts have made with their Thanksgiving leftovers. Makes me want to have a 2nd Thanksgiving dinner just to try them all! 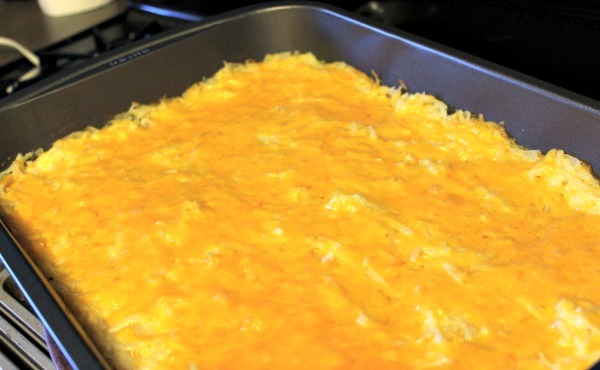 Do you make hashbrown casserole for the holidays? What do you like to add to it? The hashbrown casserole looks absolutely delicious. Oh my! Cream of Chicken Soup is such a versatile ingredient to have on hand. I really like those pans too – nice browning around the edges. Will have to give them a try! I love all the different ways to use Thanksgiving leftovers. I enjoy using the Good Cook nonstick pans for my baking. I haven’t had any sticky messes to clean up so far! This looks delicious! I love egg casseroles. I just tossed the rest of my turkey in the crock pot with tomatoes and green chilis to turn into enchilada meat for dinner tonight. Yum, this looks like a great casserole! We make something similar to this, and it is always a big hit! This looks amazing and so easy to make, I will have to make this for my family, thanks for this. Oh man, these look seriously delicious! I have the right mind to make these for dinner tonight! NOM! OK, so yeah…that’s like a cup of deliciousness right there! YUM! 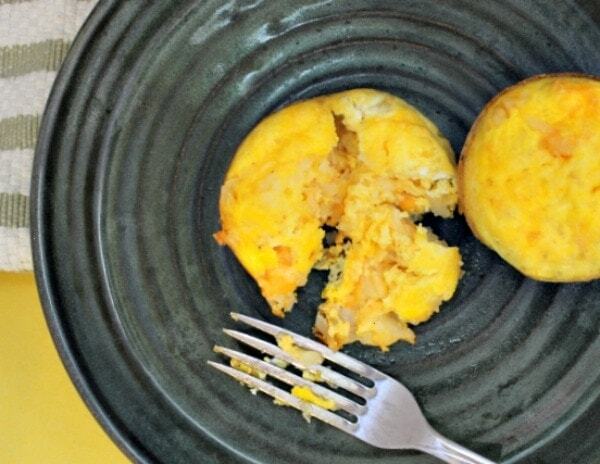 Hashbrown Casserole and eggs sounds really good. We have been having the same things for breakfast for a while. Thanks for offering up something new. What an awesome recipe! We still have lots of leftovers to use up. Oh yes, oh yes, oh yes. This is happening over the weekend, mama!!! YUM! yum! I missed breakfast this morning and this looks so good! looks delicious. love how simple and quick it is too! Ooo, this sounds delicious! You really an never go wrong with potatoes and cheese in my opinion.